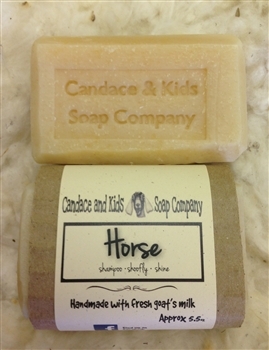 An all natural and nourishing goat milk soap for horses! Aids in treating sore muscles, wounds and itchy skin while helping repel insects and flies. The end result is a shiny coat and a happy horse!